Last week, Jacinta and myself went to the Susu Mama’s ball. What a fantastic night! We were lucky in that Maria our Haus Meri was very happy to come and babysit. Susu Mama’s is a fantasitic organisation that assists new mums with their babies. 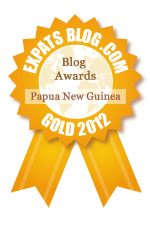 Mortality rates here in PNG are very high – 2nd highest worldwide! And I bet that is really the tip of the iceberg… Both mum and bubs have very high chances of not surviving childbirth. In the past few months, our buai seller’s wife Latu gave birth to her second baby. The cost was astronomical, and they were lucky that their expat employer assisted with the costs. One of my staff Jamin – his partner just gave birth the other week, 6 weeks early, by emergency c-section. Jacinta and myself have been very concerned for a while as Amelia was extremely swollen, high blood pressure etc. thankfully Amelia went home the other day – but it could easily have turned to custard. One of my other staff Geraldine, is 7 months pregnant.. With twins.. Has only just found out, so I got her to go see the team at Susu Mama’s – she said that they were fantastic..